March 7, 2015 – A Colorado team will be among the twenty-five international teams competing in DARPA Robotics Challenge (DRC) Finals to be held June 5-6, 2015, at Fairplex in Pomona, California. Team Grit is one of fourteen new teams from Germany, Hong Kong, Italy, Japan, the People’s Republic of China, South Korea, and the United States qualified to join eleven previously announced teams. Colorado’s Team Grit previously competed as Team Mojavaton in the 2005 DARPA Grand Challenge and the 2007 DARPA Urban Challenge. Team Mojavaton developed an autonomous Nissan Xterra that finished in 13th place (out of the 195 original teams) in the 2005 DARPA Grand Challenge. Now the small and self-funded, but highly dedicated team of undergraduate students, professors, and professional engineers take on the new DARPA Robotics Challenge to develop a robot that can assist first responders in the event of a national emergency. 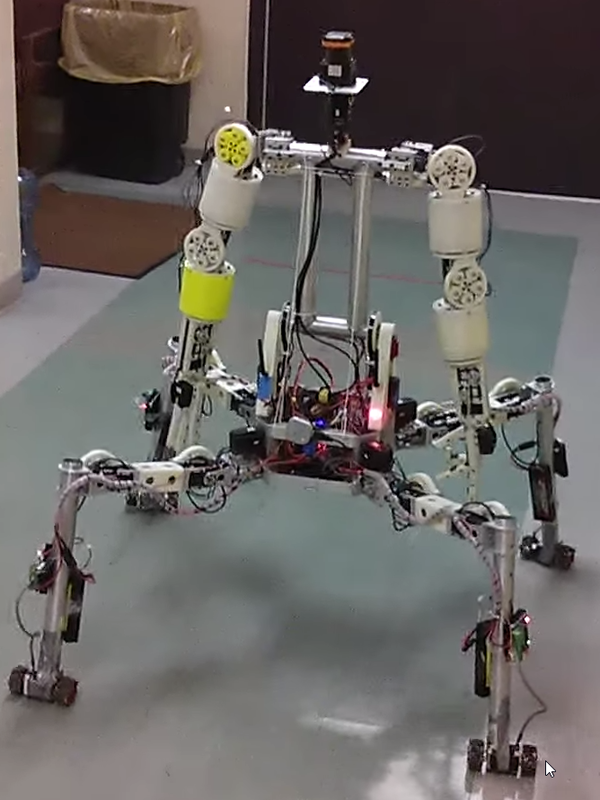 The team’s quadruped robot, Cog-Burn, will vie for a chance to win one of three cash prizes totaling $3.5 million. To qualify for the DRC Finals, the new teams had to submit videos showing successful completion of five sample tasks: engage an emergency shut-off switch, get up from a prone position, locomote ten meters without falling, pass over a barrier, and rotate a circular valve 360 degrees. “We’re looking forward to seeing how the teams ensure the robustness of their robots against falls, strategically manage battery power, and build enough partial autonomy into the robots to complete the challenge tasks despite DARPA deliberately degrading the communication links between robots and operators,” said Pratt. The DRC Finals event is free and open to the public and media. In addition to the competition, an on-site robotics exposition (DRC Expo) will showcase technology related to disaster response, robotics, and unmanned aerial systems, and include an overview of DARPA’s mission and legacy.